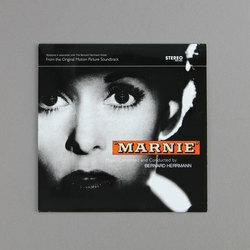 Bernard Herrmann - Marnie - From The Original Motion Picture Soundtrack. Vinyl LP. Bleep. Chances are that you’re probably already familiar with Bernard Herrmann’s work even if you don’t know his name. The late composer came up with some of the most legendary film scores of the 20th Century - we’re talking Psycho, Citizen Kane, Taxi Driver, real top tier stuff. Herrmann’s music for Alfred Hitchcock’s Marnie may not be quite as lauded as some of his other output, but this doesn’t make it any less of a vital entry in his catalogue. This is classic Herrmann, all sweeping orchestras and eerie mood pieces. This four-track EP from Stylotone selects some of the score’s best moments for 7” release.